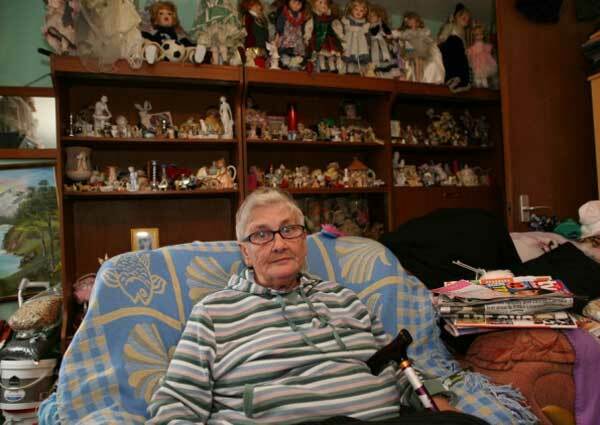 Heartbroken pensioner Doreen Gubby has been ordered to dump her collection of toy dolls after they were branded a fire hazard. Shocked Doreen, aged 70, has taken a lifetime to build up the 200-strong collection of hand made models but has been told by her local council to get rid of them following a complaint from a neighbour. The order came three days before Doreen, from St Joseph’s Court, Dinnington, was diagnosed with cancer. Doreen said that she had returned home from hospital following an angina attack to find her locks had been tampered with and that her flat had apparently been broken into. Management firm 2010 Rotherham which runs homes for Rotherham Council say they visited Doreen’s flat and confirmed that the dolls were a fire risk. A spokeswoman said: “We’re working closely with Mrs Gubby to remove a large amount of belongings which have become a fire hazard. Those dolls are a fire hazard? Unbelievable. Quit bullying the old lady. You bastards. Dolls are a fire hazard but a smoker living next door isn't?